Our aggressive team of award-winning attorneys has experience handling various drug cases, from simple possession to trafficking. Our lawyers provide clients with honest legal advice to help them make the best decisions for their future. Clients frequently write positive reviews about attorney Rick Hutchinson, which has helped him earn one of the top ratings on Avvo. Attorneys at other law firms often refer their friends and family to our law firm for legal representation. Florida is known for having some of the country’s toughest drug laws, applying not only to illicit substances, but to prescription drugs too. A drug arrest holds the power to transform your life in some very powerful ways, even in the case of an occasional recreational user who finds themselves facing a drug possession charge. You could be left with a criminal record that adversely impacts your ability to get a job, rent property or even maintain custody of your children can be threatened by a drug conviction. But there is help. An experienced drug crimes lawyer can work to help you find justice, defending your case in a strategic and effective manner. Founded by two seasoned criminal defense attorneys with over 50 years of combined experience, the attorneys at the Law Offices of Hutchinson & Huffman work with clients across Palm Beach County, West Palm Beach County, and Martin County. Our elite team of drug crimes lawyers are familiar with the many challenges that a client may encounter throughout the legal process. Being accused of a drug crime can be very upsetting, as the allegations can affect your career, your reputation and even your relationships and personal life. But we’re well-prepared to fight for your freedom, offering sound legal advice and leveraging our refined defense strategies to secure the best possible outcome to your case. If you or a loved one was arrested on drug charges, contact a top West Palm Beach criminal defense lawyer with Law Offices of Hutchinson & Huffman today. The ultimate goal will be to have the charges dismissed. We will also work with the District Attorney’s office to either arrange a plea deal, probation or whatever is the best possible outcome for your case. To arrange a free and confidential case consultation, call (561) 838-9793. Florida is known for having some of the harshest penalties for drug offenders, in part due to the large number of drug importers who, in decades past, brought illicit drugs into the country through the State of Florida. So in the 1980s, Florida began to pass some tough drug laws, many of which remain in place today throughout the region, including West Palm Beach. Attorneys with our practice understand that you may be feeling frightened and uncertain following a drug charge arrest. Our legal team has compiled a few of the most common questions and concerns that we address with potential clients who are seeking a drug crimes defense lawyer. Is Drug Possession a Misdemeanor or a Felony? The severity of a drug possession charge depends upon a number of different factors, such as the type of drug and the amount. An individual may face a first-degree misdemeanor for the possession of a small amount of marijuana weighing less than 20 grams. Conversely, an individual who is found to be in possession of a large amount of heroin may be charged with a more serious felony. What is the Difference Between Simple Possession and Intent to Distribute? According to Florida drug laws, simple possession typically refers to the possession of a controlled substance in a relatively small quantity, packaged in a manner that is generally consistent with personal use. Cases involving a charge of possession with intent to distribute typically involve a larger quantity of drugs, which are typically packaged in a manner that’s consistent with sale. Authorities will typically gather other related evidence too, such as scales and large sums of cash. The packaging of the drug plays a major role in determining how a case is charged. For instance, if you had 20 small bags of marijuana, then a charge of possession with intent to distribute may be more likely. Whereas if you had a case involving the same amount of marijuana contained within a single bag, a simple possession charge may be more likely. This is just one of the many factors that your attorney will explore while reviewing your case. How Will a Drug Crimes Lawyer Defend My Case? Every case is unique, so the defense strategy will depend on upon a number of factors that relate directly to the specific facts and circumstances of your case. In order to secure a conviction on a charge of drug possession, for example, the prosecutor must prove that the substance involved is, in fact, a controlled substance in the State of Florida (verified by scientific analysis.) They must also prove that the individual had knowledge (or ought to have had knowledge) about the illicit nature and presence of the drug. Thirdly, the prosecutor must prove beyond a reasonable doubt that the defendant had control over the substance in question. Every criminal charge has one or more elements that must be proven beyond a reasonable doubt in order to secure a conviction. Your defense lawyer will work to plant the seeds of doubt, while also identifying any issues that could result in the dismissal of some or all of the charges. For instance, if the illicit substance was found during an unlawful search and seizure, this may serve as grounds to have the case tossed out. In cases where the individual was driving, the client may also face charges of driving under the influence (DUI), amongst other criminal charges. This can lead to a new element of complexity in your case. Fortunately, this is another practice area where our law firm has a great deal of experience. We also deal with violent crimes and assault, theft crimes, white collar crimes and more. Each case has its own unique facts and circumstances, so your criminal defense attorney will consider all facets in your case when deciding how to best defend you from the charges. Furthermore, some cases never go to trial. It could be possible to arrive at a plea deal or another form of resolution. What Are the Penalties for a Florida Drug Arrest? Florida’s punishments for drug offenses span a wide breadth. Variables include the amount and type of substance involved and the defendant’s criminal history, among other factors. A misdemeanor conviction involving a first-time offender may entail a fine, probation and enrollment in a drug program, whereas a felony conviction involving a repeat offender could involve imprisonment and a hefty fine. Every case is unique and laws are routinely modified, so it’s best to discuss your circumstances with your defense lawyer to get a better idea of the possible penalties in your case. 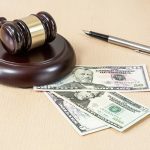 How Much Will It Cost to Hire a Defense Lawyer? The cost to hire a defense attorney will vary depending upon a number of variables, such as the complexity of your case and how long it takes to resolve your case. In some instances, the client’s case is resolved in fairly short order out of court, whereas other cases take months to resolve, ending in a trial. To get a better idea of expense, we recommend contacting our defense attorneys to discuss your case. We can provide a more accurate estimate after learning more about your case. Are drug charges on the same level as violent crimes? No, use and possession of drugs are non-violent crimes. In West Palm Beach, are drug crimes federal or state? They are both. 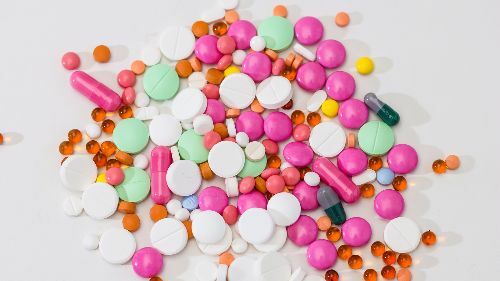 Usually, smaller quantities of drugs are prosecuted at the state level, but that is not necessarily the only factor that is used to determine what office prosecutes you. When a gun is involved, the federal government as of late takes an interest in the offense. What counts as felony drug charges? Quantity. The only drug that is a misdemeanor is marijuana, and that has to be under 20 grams. All other scheduled drugs are felonies regardless of the weight. Are there differences between drug trafficking vs. possession with intent? Legally, the weight and the manner the drugs are packaged. Usually, trafficking will involve a larger quantity carried in one or two packages. Possession with intent usually has the drugs broken down in small “baggies” or other equipment is found near the drugs, like a scale indicating an intent to sell. For purposes of sentencing, there is very little to no difference. How does a West Palm Beach criminal defense attorney fight a drug possession charge? In many ways. First, you look to how the officer stopped you or targeted you. Was that illegal? If a warrant was involved, was the warrant valid? If drugs are found in a car you are traveling in, were there others in the car. When weight is an issue, sometimes the drug is mis-weighed. When should I seek the help of a criminal defense attorney if arrested on drug charges? Immediately, when charged with any crime it is advisable to retain a lawyer as soon as you are arrested. What are the potential consequences of conviction in Palm Beach County? Jail or a Prison sentence, long-term probation, loss of job and job opportunities, felony conviction, loss of civil rights including your right to bear arms and to vote. You also may encounter difficulties to travel out of the country. Florida has some very stringent drug laws with some of the nation’s harshest penalties, so it’s important that you trust your case to an experienced defense lawyer who routinely deals with drug offenses. Attorneys with the Law Offices of Hutchinson & Huffman have handled numerous drug cases, ranging from simple possession to trafficking and beyond. Our legal team has the experience and strategies required to represent you, working hard to ensure the best possible outcome to your case. If you or a loved one was arrested on drug charges, contact the Palm Beach defense lawyers with the Law Offices of Hutchinson & Huffman. We are here to provide you with a fully confidential, no-cost case evaluation. Please call (561) 838-9793. 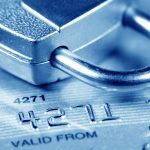 How Are Individuals Charged with Identity Theft Charged? How Are Tax Fraud Violators Punished in Florida? How Can Anger Management Classes Help With Domestic Violence? I retained Mr. Hutchinson's firm several times over the past few years to deal with a personal matter as well as a business dispute. I was treated with the utmost respect and felt the entire staff were knowledgeable and informed as to my needs and expectations.